Senior Correspondent revolutionizes how people document, share and learn from the stories of older adults. The groundbreaking social media app provides a “seasoned view of the world” by combining the reporting of older journalists with crowdsourced first-person stories documented by users of all ages. 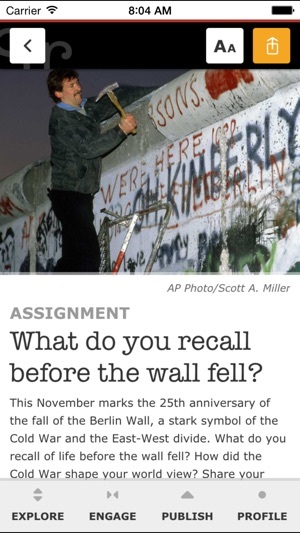 A first in citizen journalism, Senior Correspondent offers a unique social storytelling experience that enlists users in creating a fuller picture of current issues, historic moments and life experiences. The app enables users to explore news and opinion from older adults, take on assignments to enrich reporting, and publish stories using the photography, video and audio tools of a mobile device. Senior Correspondent curates user contributions on its award-winning website, SeniorCorrespondent.com. App users can also follow their favorite correspondents, search topics by popular tags, and peruse the day’s headlines from Senior Correspondents across the globe. The app can be used for a variety of purposes, including hyperlocal reporting, photojournalism, documentary work, oral histories and memoir writing. * Explore news and opinion by Senior Correspondents. * Browse headlines by Senior Correspondents across the globe. 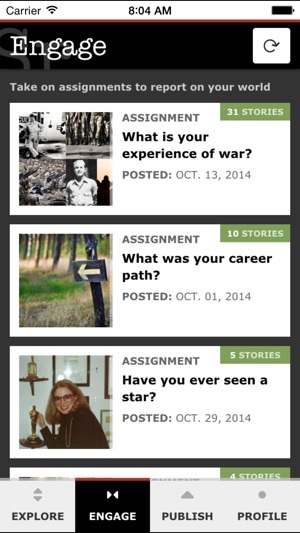 * Report on your world by taking on assignments, which are pushed to the app weekly. 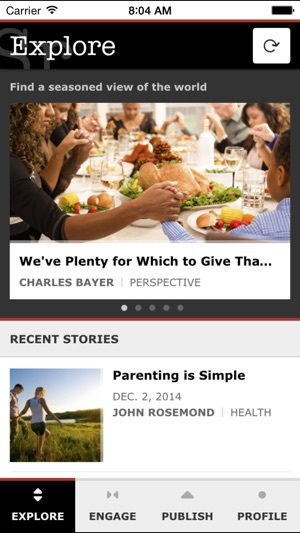 * Publish your own story on whatever topic interests you. * Add photos, video or audio to make your story come alive. * Tag stories through selected topics or create your own tags. * See your stories live on the Web at http://www.seniorcorrespondent.com. * Follow Senior Correspondents and see who's following you. Senior Correspondent's mission is to amplify the voices of older adults for the good of society. 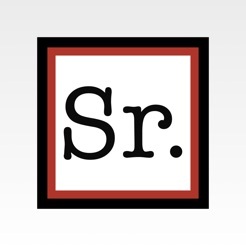 Senior Correspondent is an adventure of The Signal Hill Company, LLC (http://www.signalhillspot.com). Fantastic app. Lots of useful and informative information. Discovered by accident and have shared with a lot of friends and family. Edit:: upon further use. I am having trouble getting videos to load. The app seems and buggy and sluggish. This app doesn't work on my new iPad Air2. I thought the app would be a great one for me, and was anxious to begin using it. Every time I open it, however, all I see is a blank white screen with the exception of a small square of tan & black on the bottom right. I have never had an experience like this with any other app. Clearly, it needs some work. I really enjoy the Home & Garden and Travel sections-very interesting articles. The app is simple and easy to use too!